My husband grew up in Wisconsin (Yes – He IS a Cheese Head). For years he told me about a favorite past time…”Fish Fry Friday.” Being a Catholic my whole life, I expected your typical greasy lenten church fried fish served in a paper bowl. Let me tell you, Wisconsin fish fry is NOTHING like what the Catholic church ladies prepared in Western, PA. It’s fresh Cod that is thick and crispy and browned to perfection. After we got married, we discovered “Fish Taco’s” while living in Southern California. They were served in warm tortilla’s with fresh cabbage and mexican spices. We loved all the textures and flavors with the fresh grilled fish. It was my goal after we moved back to Pennsylvania to bring those two recipes together. My kids LOVE it, so I make gluten-free for me and gluten-full for them. I use Costco’s frozen and individually wrapped tilapia loins. I’m sure that other mild white fish (like Cod) would work fine, but tilapia holds it’s shape during frying and is convenient for me to store in my freezer. 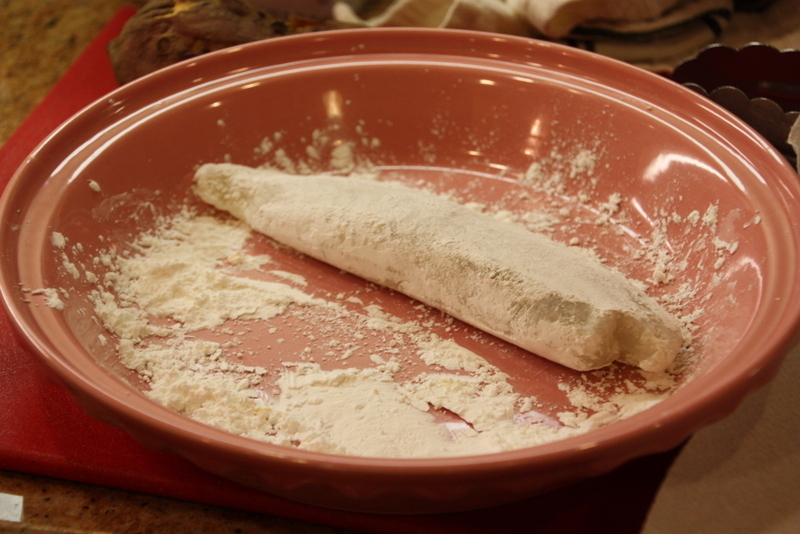 After they thaw, I dust lightly with corn starch or rice flour. 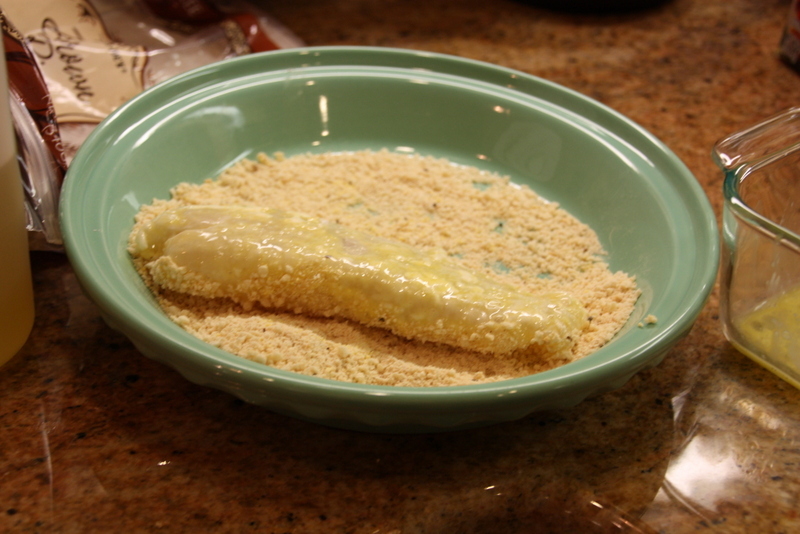 Then I dip in egg and finally in gluten-free bread crumbs. I like to combine Glutino Original GF bread crumbs and Kinnikinnick brand crumbs. 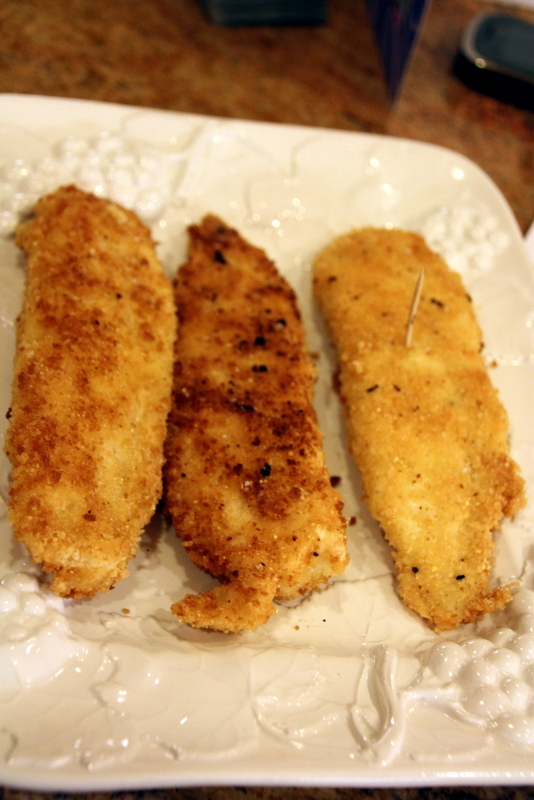 The combination makes a crispy coating that adheres well to the egg coating. Another great coating is broken-up corn chips. It’s a great way to get rid of those last few chips at the bottom of your bag. After I make my gluten-free fillets, I insert a toothpick in them and keep them in a 200 degree oven to stay warm. Finally, I add gluten-full panko style breadcrumbs to the remaining breadcrumbs and continue frying for the rest of the family. In my house, everyone knows the gluten-free items because they are served with a toothpick sticking out of it. I always make extra fish and serve it the next day with warmed corn tortillas, cole slaw or broccoli slaw, and hot sauce. They are even better the 2nd day! They aren’t exactly Wahoo’s Fish Taco’s or the Port Washington’s Cod, but Bebe’s Fish Taco’s are always popular in our house! Enjoy! 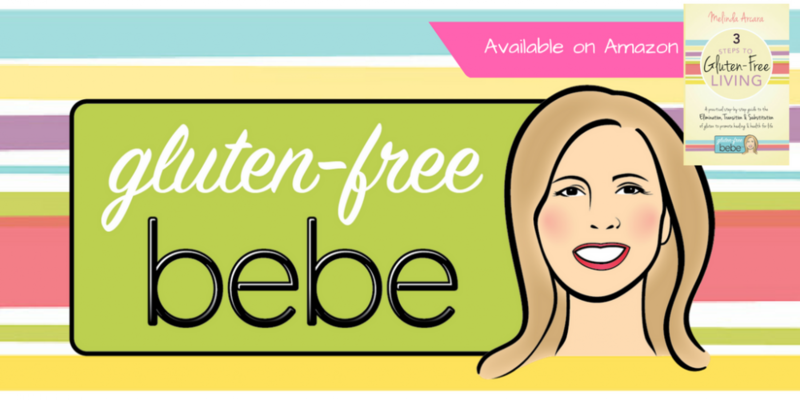 This entry was posted in Recipes and Food by Gluten-Free Bebe. Bookmark the permalink. Beeb-shouldn’t this be in recipes? Just a suggestion. I’ll keep quiet now. Very nice though! Sue…check it out! I figured out how to do it!!! It only took me 14 days! P.S. Pass on the BLOG to your G.F. Friends for me! xoxo!